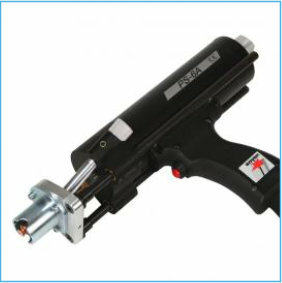 Here you will find an overview of our capacitor discharge welding guns. 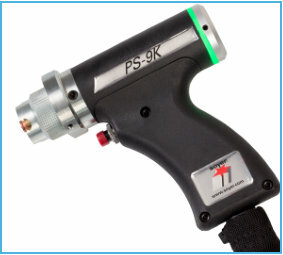 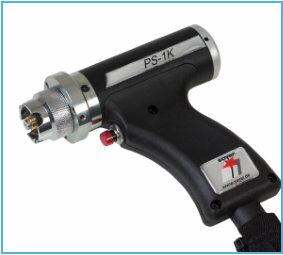 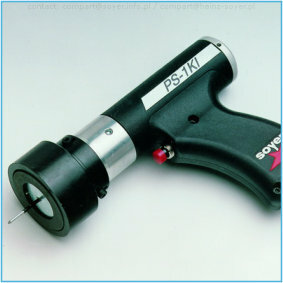 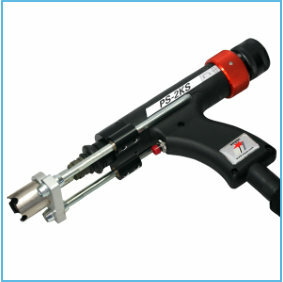 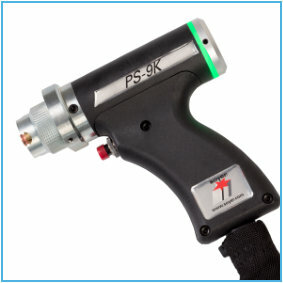 Tried and tested mechanical welding gun for accurate welding of studs and pins from M3 - M8. 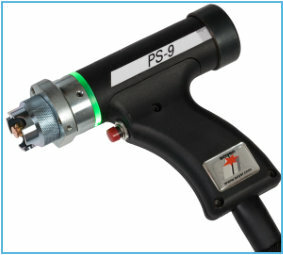 Electronically controlled welding gun for accurate welding of CD threaded studs from M3 - M8. Miniature welding gun for weld studs and pins from M3 - M8, ideal for use in areas of difficult access. 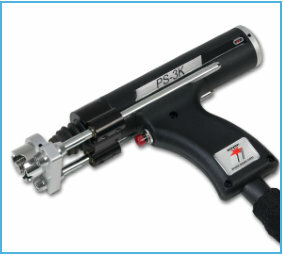 Robust welding gun ideal for use on workpieces with problem surfaces. 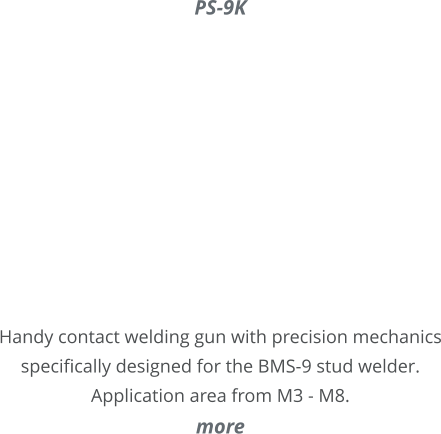 Application area from M3 - M8. 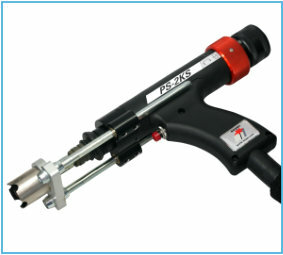 Contact welding gun with precision mechanics for M3 - M8 weld studs. 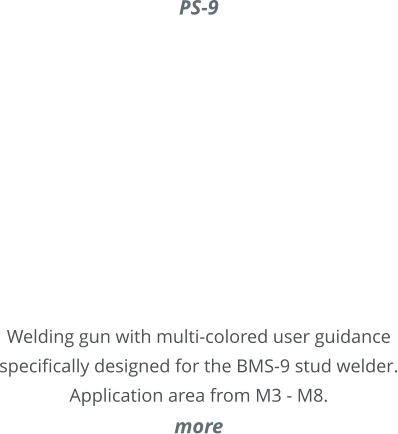 Welding gun with multi-colored user guidance specifically designed for the BMS-9 stud welder. 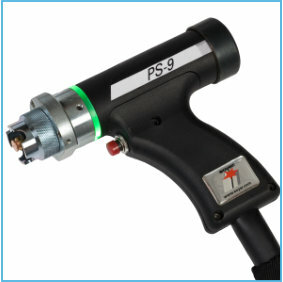 Application area from M3 - M8. 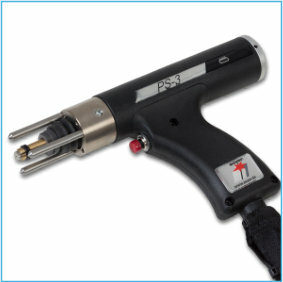 Handy contact welding gun with precision mechanics specifically designed for the BMS-9 stud welder. 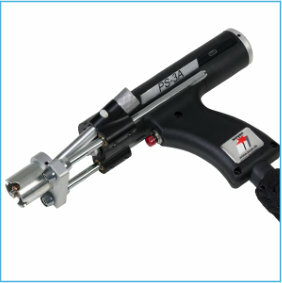 Application area from M3 - M8. 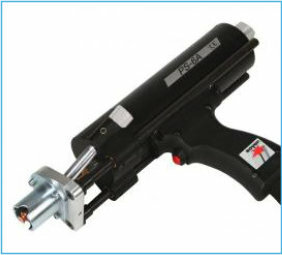 Universal gun incorporating all welding elements for gap and contact welding in one compact housing. 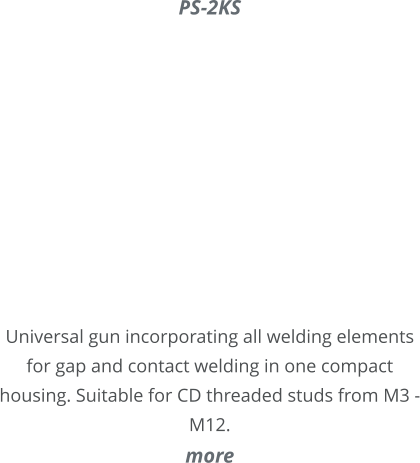 Suitable for CD threaded studs from M3 - M12. 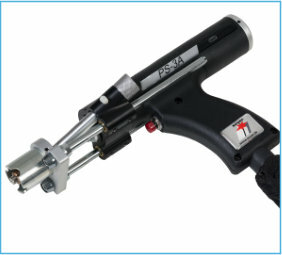 Automatic welding gun with semi- or fully automated stud feed for the accurate welding of M3 - M8 studs. 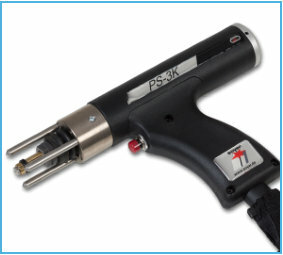 User-friendly and extreme robust automatic welding gun for M3 - M8 weld studs, ideal for continuous operation. 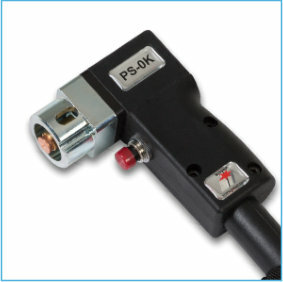 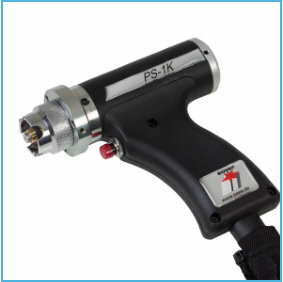 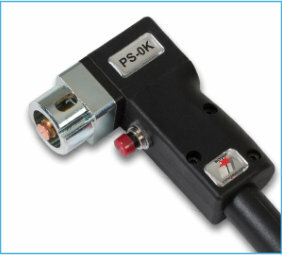 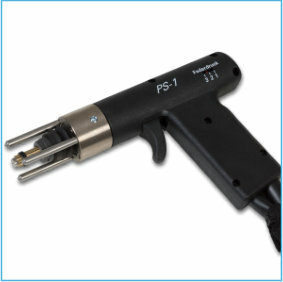 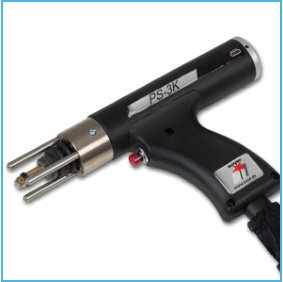 The PS-1KI has been especially developed for directly welding cupped head pins (insulating nails combined with clip) through insulating jackets in a single operation. 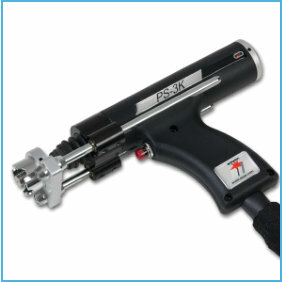 Robust welding gun ideal for welding large diameter studs up to M12.